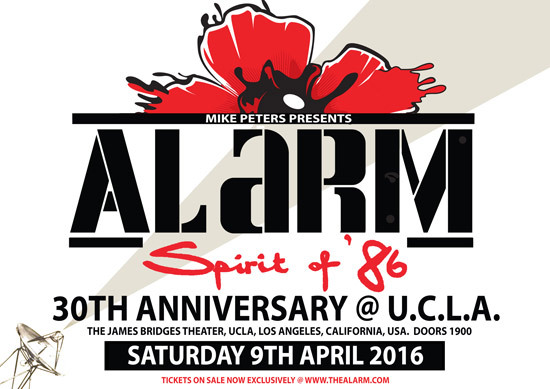 Mike Peters and The Alarm are to appear as special guests of The Stranglers on their ‘Black & White’ UK tour in March 2016. 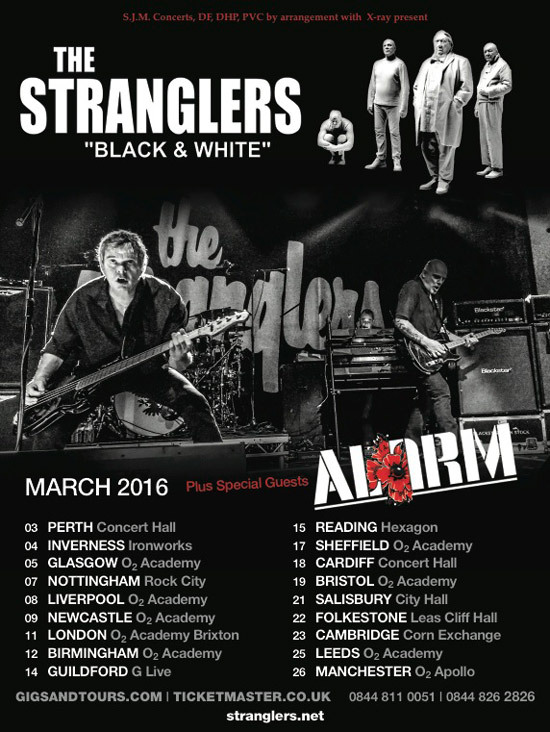 We are excited to reveal that Mike Peters and The Alarm (featuring Smiley on Drums, Craig Adams on Bass, James Stevenson on Guitar and Mark Taylor on Piano), will head out as special guests of The Stranglers on their ‘Black & White’ UK tour throughout March next year. The 18 date itinerary for 2016 kicks off with a trio of gigs in Scotland, visiting Perth on the 3rd, Inverness on the 4th and Glasgow on the 5th. 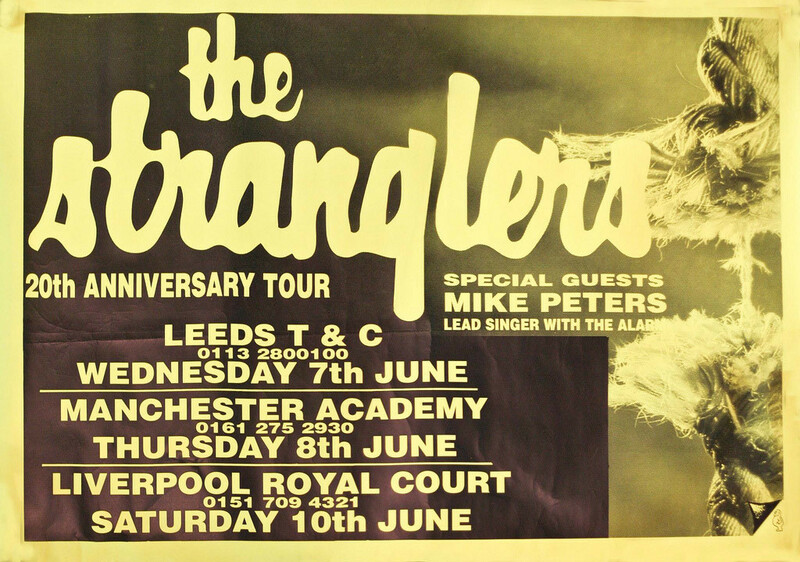 The tour then heads south, via Nottingham, Liverpool and Newcastle before the London date on Friday 11th at the 5000 capacity Brixton Academy – a venue which both The Alarm and The Stranglers last played in their own right (but with different lineups), 25 years ago back in 1991. After a hometown date for The Stranglers in Guildford, the tour takes in some less visited places including Reading, Salisbury and Folkestone before the final gig in Manchester on Saturday 26th at the legendary Manchester Apollo – with its 3500 capacity, it will be a fitting finale to the tour. Mike and The Stranglers (who will showcase their legendary 1978 ‘Black & White’ album in its chronological entirety during their set), have a long standing artistic relationship that goes all the way back to 1997 when Mike accompanied the band on their 20th Anniversary UK / European tour (in a solo acoustic capacity), also performing at The Stranglers legendary ‘Friday The Thirteenth’ orchestral concert at the Royal Albert Hall on 13th June 1997 and more recently in 2013 at the ‘WeekendinBlack’ Fan Convention, Kings Cross (see review by Jon Robb). Mike Peters first saw the Stranglers perform in Bangor University, North Wales on 8th October 1977 and he has been a fan ever since. To find out more about The Stranglers visit their website here.